Finally, after months of anticipation, the first trailer for the third installment of Stranger Things made its debut online Wednesday morning. Filled with our favorite characters, summer vibes, '80s nostalgia, and The Who, this new trailer for arguably the most beloved Netflix original series brought smiles to fans around the globe. It also brought a slew of new nightmares for us to theorize about until July 4th, when the next season is released online. Though the trailer started with nothing but fun and cheer, it ended with a look at some monsters more frightening than anything we've seen through the first two seasons. There is a scene towards the end of the trailer in which Jonathan Byers is staring down a hallway at a monster that's slowly standing up, growing in size each and every time the camera cuts to it. The lights go off for a brief moment, and when they are turned back on, the monster can be seen in its full form, filling up most of the hallway as it growls at Jonathan. 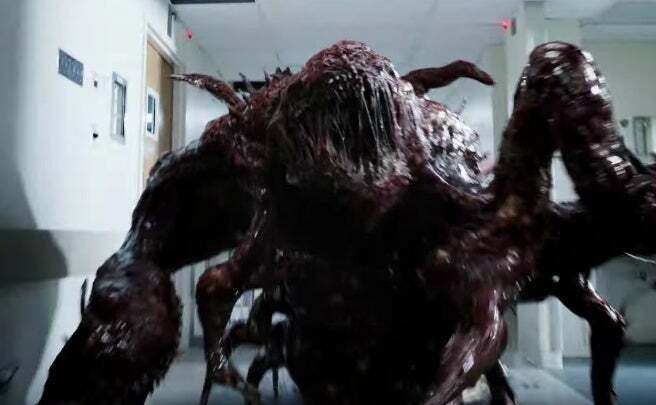 Unlike the creatures from the Upside-Down in Season 1, or the dogs from Season 2, this new monster seems to be much more dangerous, topping the previous villains in both size and aggression. This thing is absolutely terrifying. Check it out! Judging by the teeth filling its mouth, this monster has some sort of relation to the creatures from the first two seasons, leading us to believe it does indeed come from the Upside-Down. However, there's no clues in the trailer as to how this thing is created, or why it has found its way to the surface and is deciding to terrorize Hawkins, Indiana. Earlier in the trailer there is another moment that could be revealing a second monster, though it could also just be teasing the human antagonists in Hawkins. 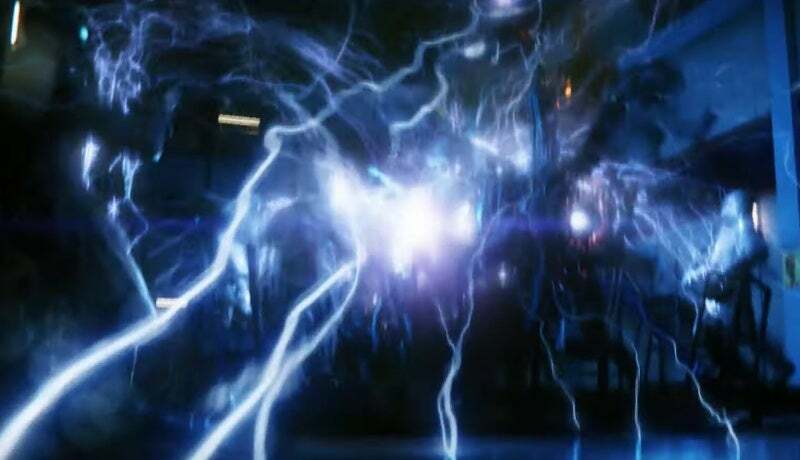 There's a scene where some men in masks are blasted with an electrical force, and there's no telling whether it came from a monster, a machine, or some combination of both. What did you think of the Stranger Things 3 trailer? What kind of danger will the kids of Hawkins be up against when the season arrives on July 4th? Let us know your thoughts in the comments! Stranger Things 3 premieres on Netflix on July 4th. The first two seasons are currently streaming.